Three people were hurt after a three-vehicle crash in Arundel around noon Thursday at the intersection of Portland and Post roads. 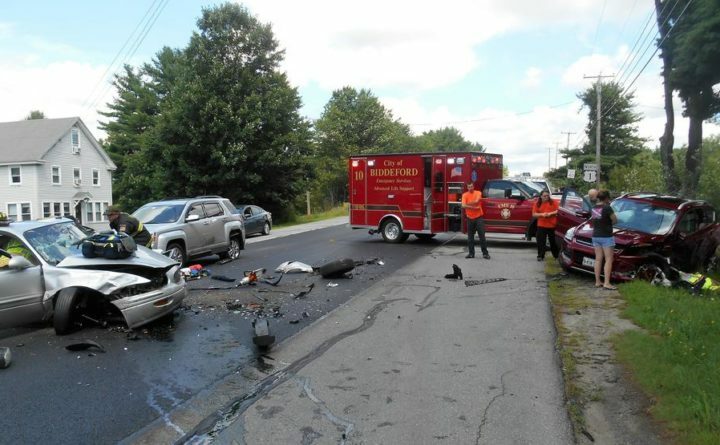 ARUNDEL, Maine — Three people were hurt after a three-vehicle crash in Arundel around noon Thursday at the intersection of Portland and Post Roads. The York County Sheriff’s Office says the driver of an SUV, identified as 39-year-old Shawna Taylor, was slowing down to turn left on to Post Road when a car, driven by 27-year-old Christopher Doten, hit her from behind. Doten’s car then went off the road, into the oncoming lane, and hit another SUV head-on, which was driven by 50-year-old Ann Croaken. Doten suffered severe head injuries. Croaken suffered a broken arm and her husband got a cut on his arm.